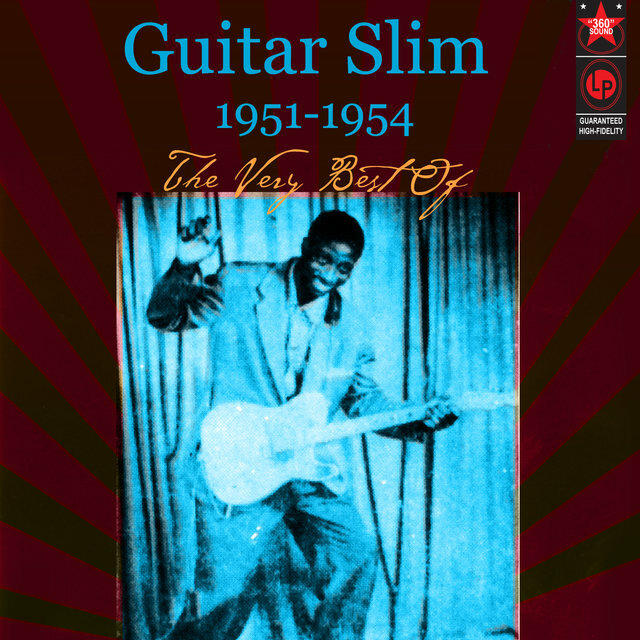 No 1950s blues guitarist even came close to equaling the flamboyant Guitar Slim in the showmanship department. 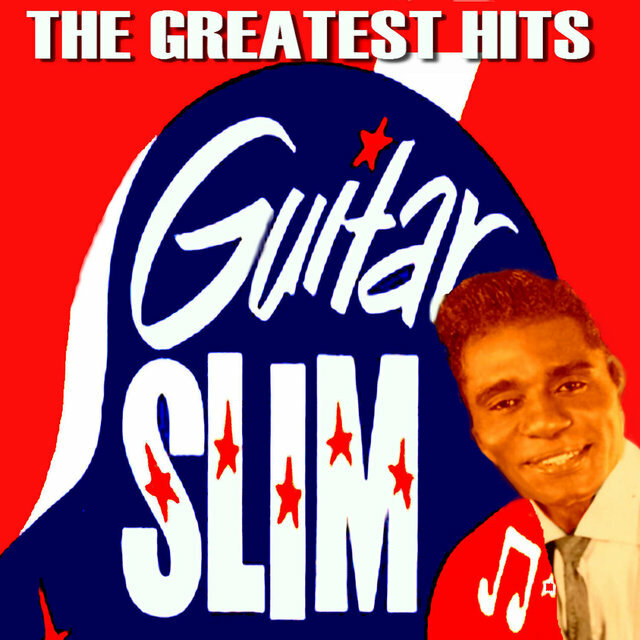 Armed with an estimated 350 feet of cord between his axe and his amp, Slim would confidently stride on-stage wearing a garishly hued suit of red, blue, or green, usually with his hair dyed to match! 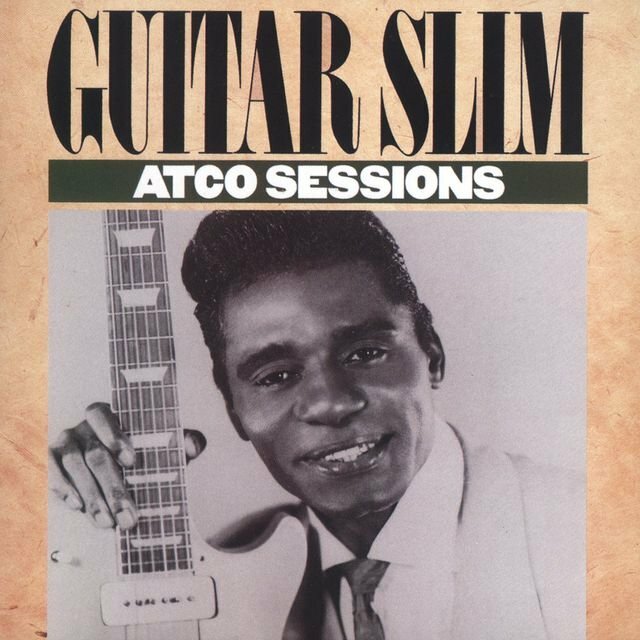 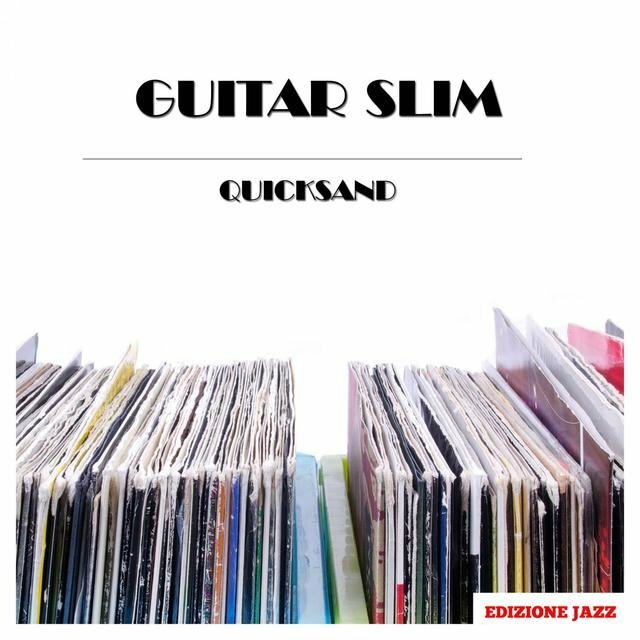 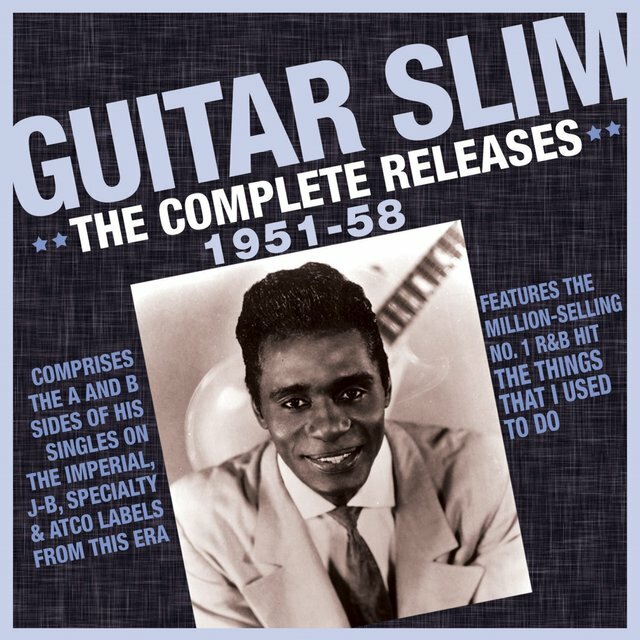 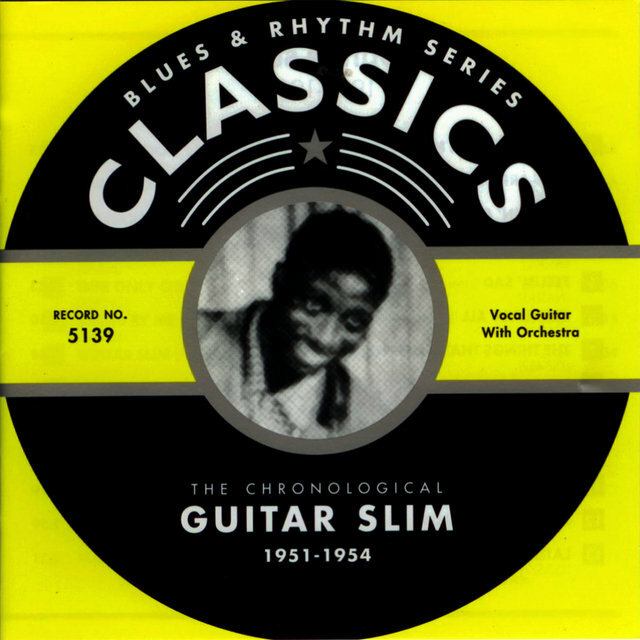 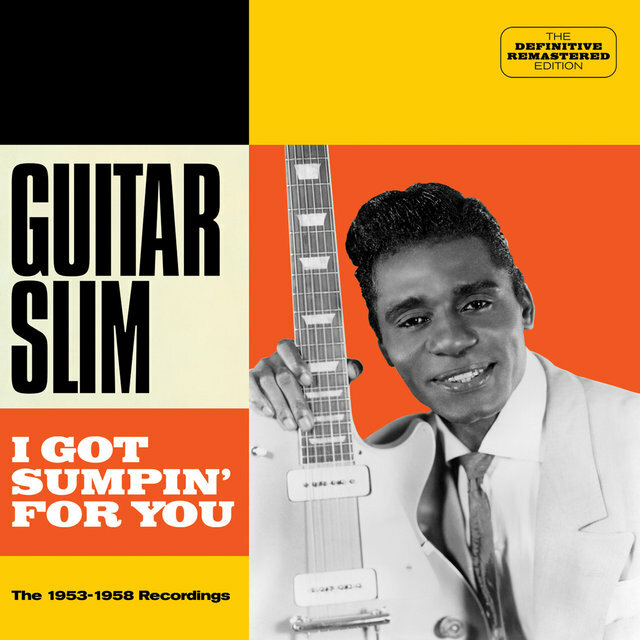 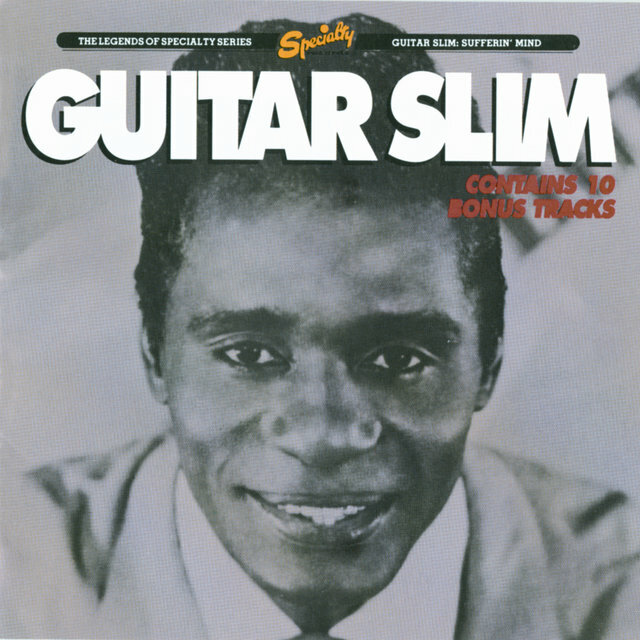 It's rare to find a blues guitarist hailing from Texas or Louisiana who doesn't cite Slim as one of his principal influences: Buddy Guy, Earl King, Guitar Shorty, Albert Collins, Chick Willis, and plenty more have enthusiastically testified to Slim's enduring sway. 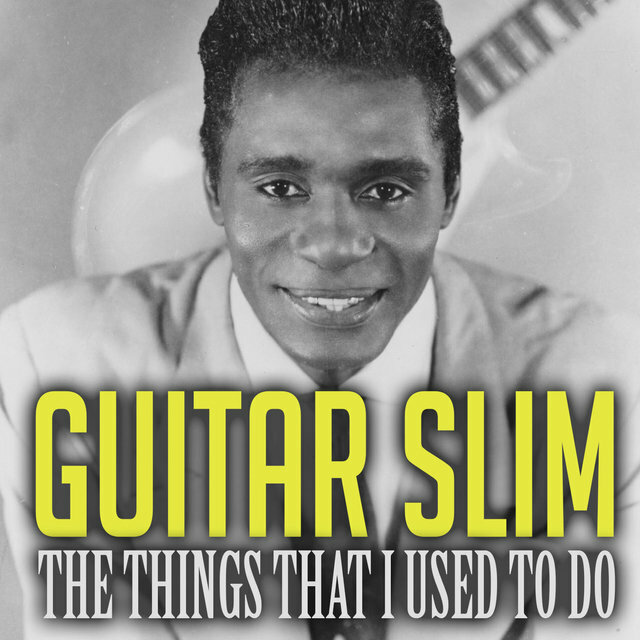 Born Eddie Jones in Mississippi, Slim didn't have long to make such an indelible impression. 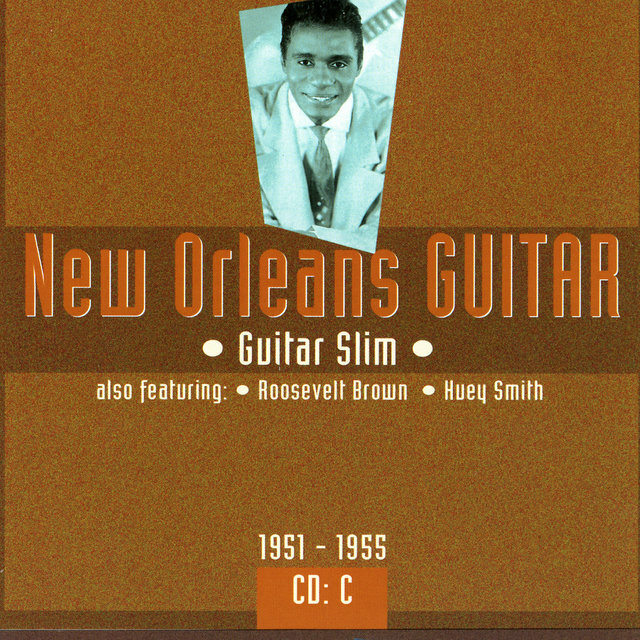 He turned up in New Orleans in 1950, influenced by the atomic guitar energy of Gatemouth Brown. 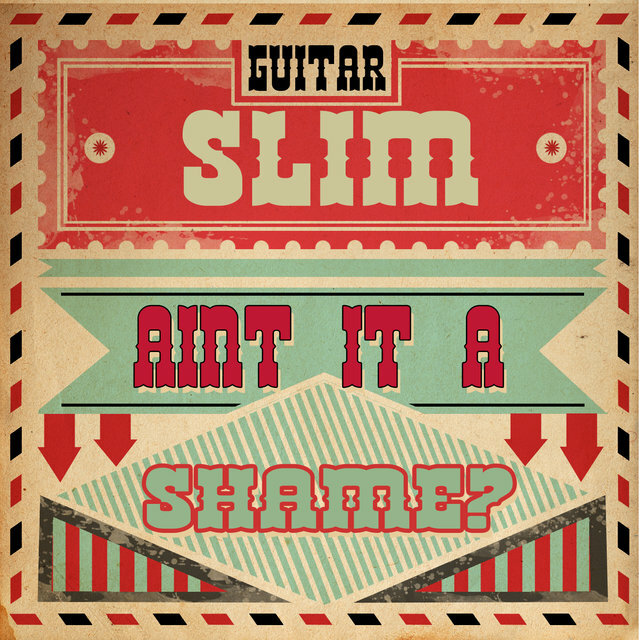 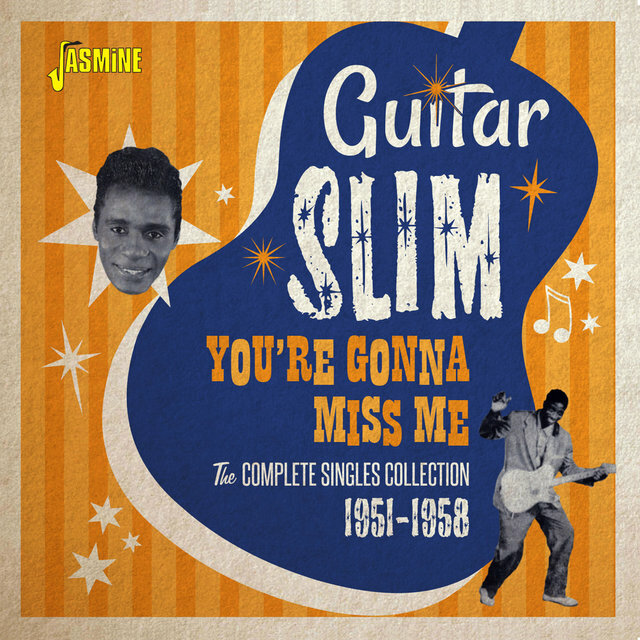 But Slim's ringing, distorted guitar tone and gospel-enriched vocal style were his alone. 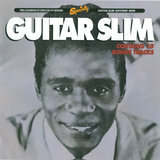 He debuted on wax in 1951 with a mediocre session for Imperial that barely hinted at what would soon follow. 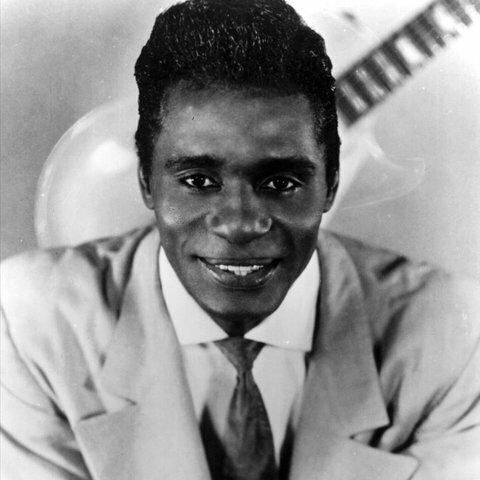 A 1952 date for Bullet produced the impassioned "Feelin' Sad," later covered by Ray Charles (who would arrange and play piano on Slim's breakthrough hit the next year). 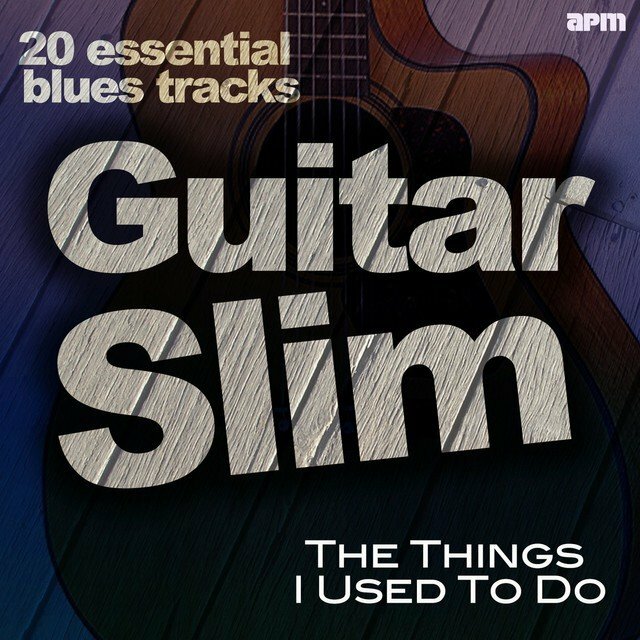 With the emergence of the stunning "The Things That I Used to Do" on Art Rupe's Specialty logo, Slim's star rocketed to blazing ascendancy nationwide. 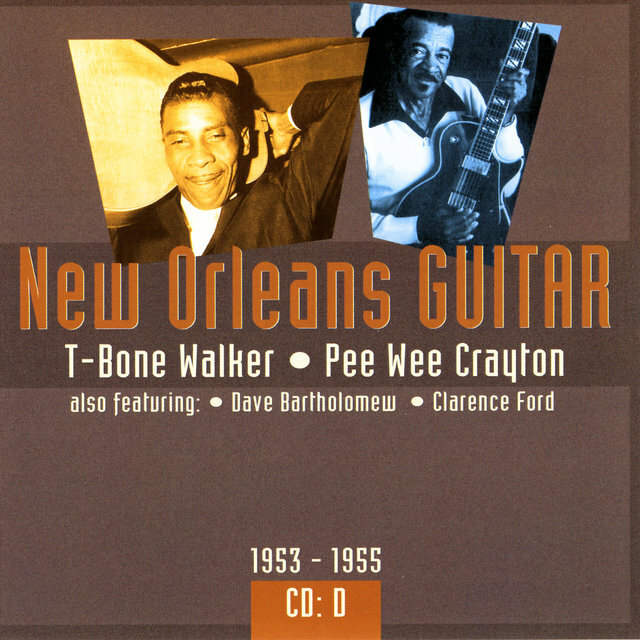 Combining a swampy ambience with a churchy arrangement, the New Orleans-cut track was a monster hit, pacing the R&B charts for an amazing 14 weeks in 1954. 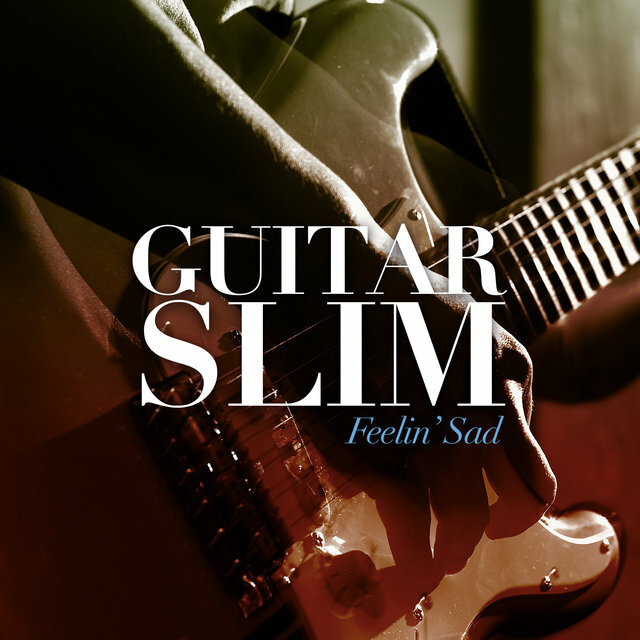 Strangely, although he waxed several stunning follow-ups for Specialty in the same tortured vein — "The Story of My Life," "Something to Remember You By," "Sufferin' Mind" — as well as the blistering rockers "Well I Done Got Over It," "Letter to My Girlfriend," and "Quicksand," Slim never charted again.